Castle Street Dental Practice provides a comprehensive range of modern dental treatment both under the National Health Service and on a Private Basis. We aim to provide high quality professional dental care for the whole family in relaxed and comfortable surroundings. NHS treatment is free for all patients under 18 years of age and for anyone in an exemption category. 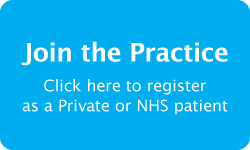 Check-ups are free for all NHS patients. Written estimates will be given to all patients, whether NHS or private, at the start of treatment. The Practice has an evening surgery on Mondays and Tuesdays. Copyright Castle Street Dental © |Disclaimer, policy and terms | Website hosted bymtc.